We all know that many trainees and wanabee athletes are obsessed with protein. This is driven mainly by a very lucrative supplement market which targets those who want to gain muscle, increase muscular strength, and lose fat. We are all aware of course that an adequate supply of protein is actually required for building muscle. Recent research has signposted other nutrients responsible for assisting the assimilation of muscle tissue and boosting muscular strength. These come from what appears at first sight an unlikely source – apple peel. Yes you read that correctly? Research suggests that a powerful compound in the peels of apples could not only help you increase muscular strength, but also combat excess body fat at the same time. According to the study, originally published in the Journal of Cell Metabolism, ursolic acid found in apple peels can not only prevent muscle atrophy, but can help build muscle tissue and boost muscular strength while combating fat gain. “Muscle atrophy causes big problems. It’s also very common – it affects most people at some point in their lives, during illness or aging. But, there’s no medicine for it. We studied muscle gene activity in people with atrophy and used that information to find chemicals that might block atrophy. One of those chemicals was especially interesting. It’s called ursolic acid and it’s particularly concentrated in apple peels,” says study author Christopher Adams, M.D., Ph.D., University of Iowa. A natural compound contained in apples, ursolic acid actually reduced muscle atrophy, and stimulated muscle hypertrophy in mice. Importantly, ursolic acid’s effects on muscle were accompanied by reductions in adiposity, fasting blood glucose, and plasma cholesterol and triglycerides. These findings identify a potential therapy for muscle atrophy, and perhaps other metabolic diseases, and suggests that their hormone boosting effects. should perhaps make apples a part of every athlete’s diet. The mice in the study were apparently protected from muscle atrophy caused by fasting and nerve damage by the ursolic acid. The mice also developed bigger and stronger muscles than those not given the ursolic acid. Also interesting was the ursolic acid mice didn’t become heavier than the others – despite increasing muscle weight. Instead their body composition changed whereby they gained muscle whilst their fat weight decreased. In addition, these mice showed no evidence of fatty liver disease despite ingesting higher fat diets than the control group. Further studies have indicated that ingesting excess amounts of ursolic acid may cause DNA damage so as with most things more may not necessarily be better. Additionally it has been shown to cause infertility in rats by inhibiting sperm production. The use of ursolic acid as a supplement however certainly warrants investigating. One human study which gave healthy participants 150mg ursolic acid three times a day with meals (totalling 450mg each day) for eight weeks alongside resistance training noted that supplementation was able to increase circulating IGF-1 concentrations by 22.8% relative to placebo (also given resistance training). For those of you who are unaware IGF-1 is important for building muscle, and for reducing muscle loss in aging and disease. This looks very promising, so in the meantime I will definately be increasing my consumption of apples. There’s an old saying about an apple a day keeping the doctor away. well they may also reduce muscle loss in old age, and also help athletes build muscle whilst losing fat. 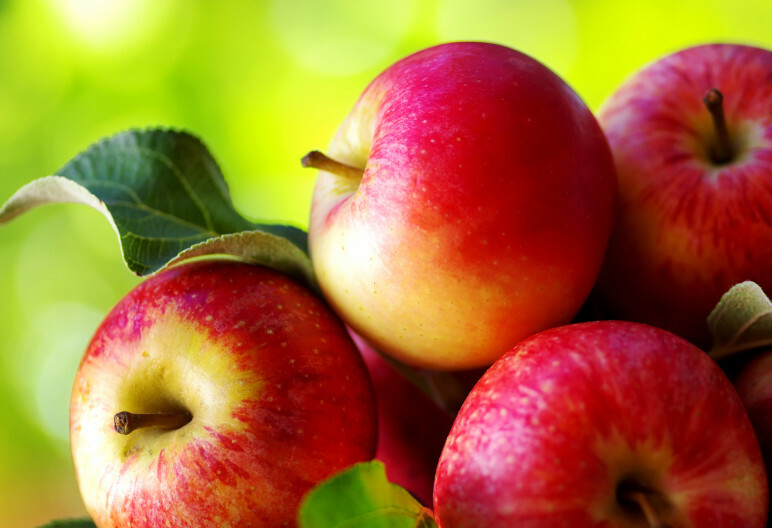 When eating your apples ensure that you eat the peels, where the concentration of ursolic acid is highest. I would advise that you also wash them well to avoid any pesticide contamination, and additionally eat organic where possible.